Vice Admiral Michael K. Loose, P.E., M.ASCE, became the Deputy Chief of Naval Operations (DCNO) for Fleet Readiness and Logistics in January 2007. As the DCNO for Fleet Readiness and Logistics, he is responsible for the policy, assessment, and resourcing of the operation and maintenance of the Navy’s ships, submarines, aircraft, and shore infrastructure; naval logistics support; afloat and shore environmental readiness; and the Navy energy strategy. 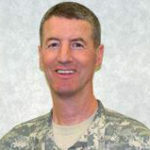 Prior to this assignment, he was assigned as the Commander, Naval Facilities Engineering Command and Chief of Civil Engineers, where he was responsible for the leadership of 17,000 military and civilian personnel and the annual execution of $11.6 billion of facilities planning, design, engineering, acquisition delivery, and maintenance. 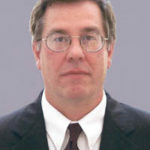 Mike is a registered Professional Civil Engineer in the state of California, a Fellow in the Society of American Military Engineers, and a member of the American Society of Civil Engineers. In this episode, VADM Loose talks about the challenges facing civil engineers in serving as innovative change agents and leveraging infrastructure to build community-wide quality of life.